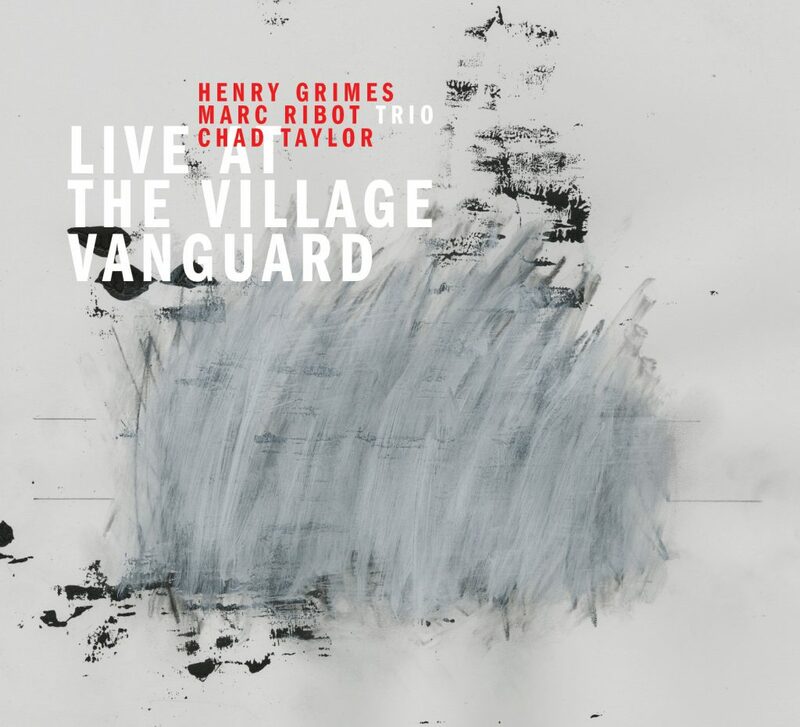 Live at the Village Vanguard captures guitarist Marc Ribot with his trio, featuring bassist Henry Grimes and drummer Chad Taylor, in an electrically-charged 2012 set at the Greenwich Village club. It was Ribot’s debut as a leader at the iconic venue he had appeared there only once before, backing the singer/pianist/composer Allen Toussaint, and his engagement came as a surprise to many, seeming to run counter to the clubs usual inclination towards a jazz mainstream. The room was packed for much of the six-night run, filled with people who might have been curious to see what transgression Ribot would bring to bear. The occasion was also special because it marked the first appearance by Henry Grimes at The Vanguard since December 18, 1966 when he performed with the saxophonist Albert Ayler, which was recorded and subsequently released on the landmark album Albert Ayler In Greenwich Village (Impulse! 1967). Grimes mysteriously disappeared soon thereafter. His subsequent re-emergence on the jazz scene in 2003 after a 35-year absence with all of his performing faculties intact is testament to the power of music and the human spirit. Ayler, whose unusual compositional sense and improvisational urgency Ribot has long looked to for inspiration, also serves as the bands touchstone. The trio is an offshoot of Spiritual Unity, a band that Ribot formed in 2004 to play the music of Ayler with the recently re-surfaced Grimes. Ribot had covered Ayler tunes many times before, including on his albums Shrek (1994), Dont Blame Me (1995), and most spectacularly on Saints (Atlantic, 2001). But with Grimes, Ribot was able to reach back in time to connect with Ayler in a way that he could never have dreamed of. Spiritual Unity, which also featured trumpeter Roy Campbell who sadly passed away earlier this year, released an eponymously-named album in 2005 (Pi Recordings). Over the band’s almost ten years in existence, Ribot, Grimes and Taylor have expanded their repertoire to include, somewhat surprisingly, ballads from the great American song book. On Live at the Village Vanguard, they cover Old Man River and I’m Confessin’ (That I Love You) with a hushed sensitivity. They have also added tracks from the John Coltrane album Sun Ship, a natural extension given the influence Ayler clearly had on Coltrane’s playing during that period. In fact, Ayler’s signing to Impulse Records was at the urging of Coltrane, who, in an interesting twist, was actually in the audience at The Vanguard for the Ayler recording, the night of Grimes’ final appearance at the club. The trio shows its true mettle on the Coltrane and Ayler tracks, showcasing their interplay and transforming the music constantly with seeming telepathy. Its true group improvisation, letting Ayler and Coltrane act as guideposts, but stretching every which way, only occasionally snapping back. Chad Taylor describes their ethos as a process, a ritual that dictates the form and flow of the music. Its a sequence of events that are related to one another not by their changes, form or key, but by the feelings, forces and energy that they share. Ribot, whose unmistakable sound is sought after by musicians of all stripes from Tom Waits, Elvis Costello, John Zorn, T Bone Burnett, Susana Baca, Neko Case, Diana Krall the list goes on astounds with his playing, spinning one frenetic, snarling solo after another. Its not a sound that one would typically hear from a jazz guitarist: Ribot has often said that hes just as interested in emulating Aylers saxophone playing, much as guitarist Sonny Sharrock professed his desire to sound like Coltrane and Pharoah Sanders. Taylor says of Ribot: Marc is a force of nature. He never runs out of ideas and his creativity is boundless. When I play with Marc I never have to ask myself what’s happening now? There is an intent and purpose with every note he plays. The trio, though, is a true collective: its never quite clear who exactly is leading whom; anything that any one plays can seemingly head them all in a different direction. Taylor, in particular, plays with extraordinary sensitivity. His breadth of experience playing with everyone from Fred Anderson and the Velvet Lounge scene in Chicago, Iron and Wine, and The Swell Season in addition to co-leading Chicago Underground with Rob Mazurek and leading his own band Circle Down allows him to handle anything that Ribot throws his way. Ribot speaks often of the special role that Grimes brings to the trio, calling his playing somewhere in between a traditional, supportive bass function and a counterpoint / soloing function. His pizzicato tends towards a low, textural rumble while his arco on bass and violin utilizes slurs and slides, often with overtone effects. And just when you think you get what hes about, Grimes will surprise you and play with a deep sense swing, just like he did so many years ago when he played with people like Sonny Rollins, Roy Haynes and Billy Taylor. According to Chad Taylor, Henry plays in the past, present and future simultaneously. There is something very spiritual about his playing that is hard to articulate. He has very big ears. He hears everything. The Village Vanguard run by the Marc Ribot Trio was selected by critic Nate Chinen of the New York Times as one of his best concerts of 2012, saying “the feverish clarity of the music, and its special resonance in that room, exerted a physical power”. This recording puts you right there, at the foot of the stage, in a room steeped in the aura of history as the bands collective intuition and extrasensory attunement magically unfold before you.